Indiabulls Housing Finance share price rose in trade today after the firm said it would deliver 17-19 per cent net profit growth in FY20 & plans to raise Rs 26,000 crore in four quarters of FY20. Reacting to this, shares of the company rose by almost 4 per cent on Thursday. The total resources raised in Q4FY19 were Rs 17,300 crore. Company’s cash and cash equivalents holdings amount to Rs 27,512 crore. The stock opened at Rs 880, 10 points above the previous close and hit day’s high at Rs 904 on BSE. On NSE, it rose 4.02 per cent to reach Rs 904.90 as its intraday high. The stock has gained 6.77 per cent in the last two days. The intraday returns of the stock stood at 3.29 per cent compared to 1.33 per cent returns logged by the sector. 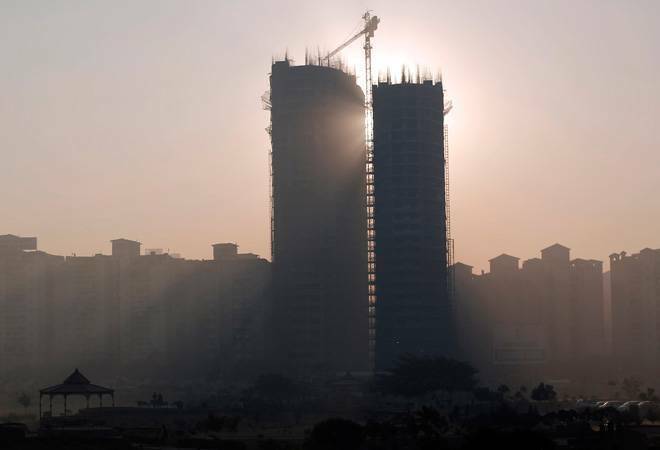 “CRAR Capital to Risk Weighted Assets Ratio at March 31, 2019, is over 24 per cent, and the net gearing is at 4 times,” Indiabulls Housing Finance said in the regulatory filing. “To deliver 17-19 per cent Profit After Tax PAT growth in the current financial year, the company plans to raise a net total of Rs. 26,000 crore in the four quarters of the current financial year,” it added. A total of 17 lakh shares on BSE and 210.62 lakh shares on NSE have been traded on the counter. The stock closed at Rs 898, 3.2 per cent or 28.65 points higher on BSE and NSE.